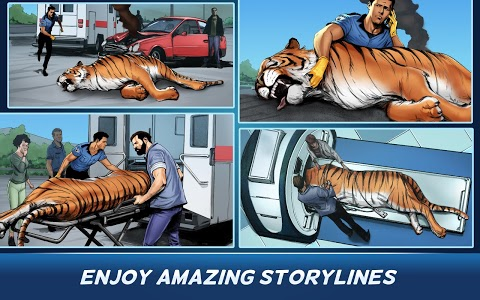 Welcome to the most realistic hospital simulation game dedicated to animals. 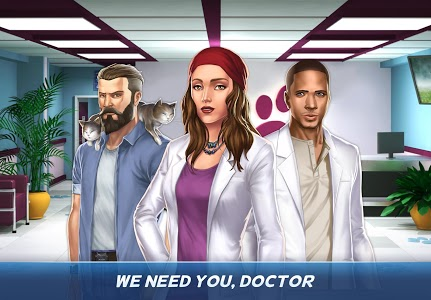 Take care of your favorite pets & animals and rescue them in this hospital time management game. 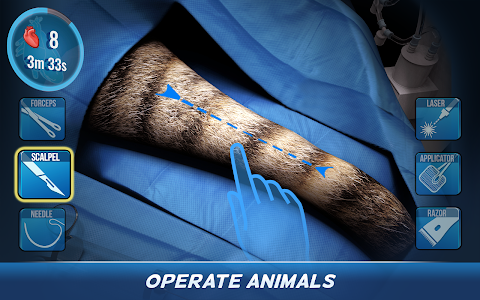 Operate Now: Animal Hospital is an intense surgery simulator and time management game (dash). 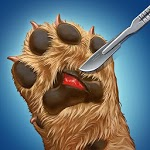 This animal game allows you to perform realistic surgical performances as a day-to-day vet would do. Besides operations, it is your duty to run and manage the hospital. All aspects come to light: Animal care, Staff Management, Build & design, and amazing storylines. 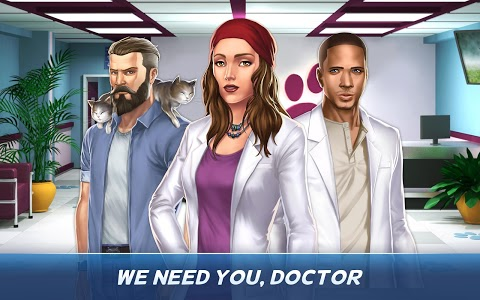 Doctor we need you! 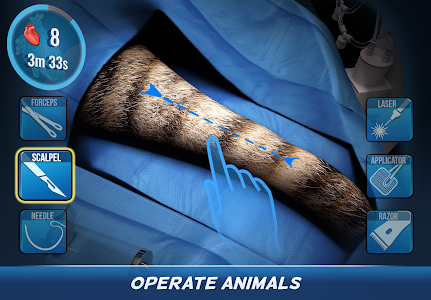 Operate Now: Animal Hospital is the first realistic animal surgery game. 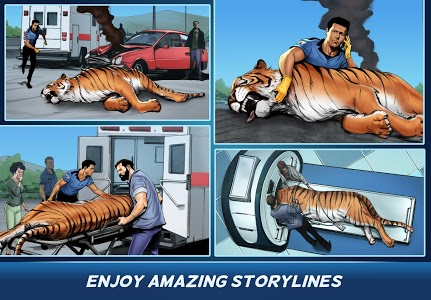 Get the chance to operate pets (cats, dogs) & wild animals such as tigers and become the best vet surgeon in the world. 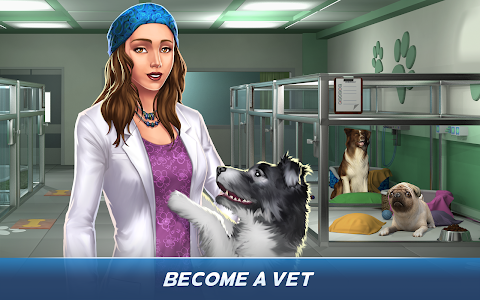 If you want to be an animal doctor, vet, or simply love animal rescue, you are in the right spot! If you like building games, this is the right game for you. 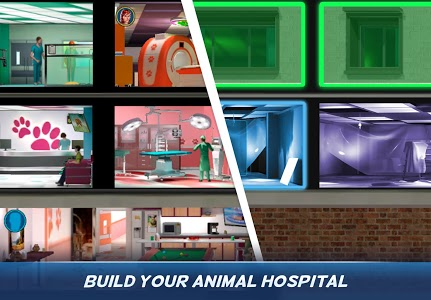 Create your own hospital, extend the number of floors and choose the design of the rooms. 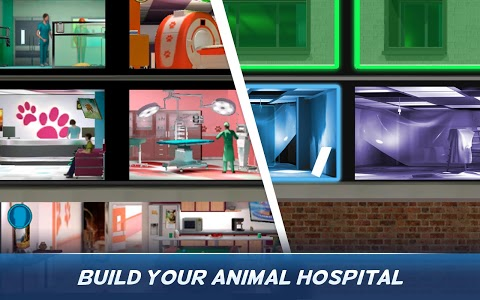 Operate Now: Animal Hospital is meant to be the most realistic hospital simulation. You will have to build and customize medical departments like in a real hospital such as operating rooms, examination rooms, ambulance garage, MRI etc. Edan arrives to the hospital shortly after reading about it on social media. 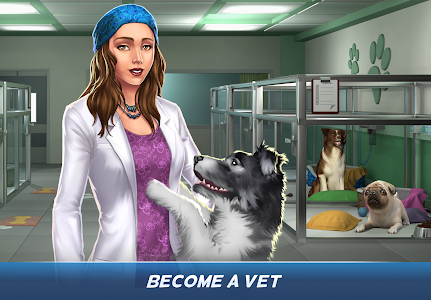 She’s an idealistic vet. She loves animal care or she loves animals and is a student, specializing in zoological medicine. She is very talented, and she knows it. Edan is hot tempered and frequently annoying in her self-righteous confidence. “Tiny” to his friends, is one of the older members of the team. A well-built ex-con working on parole with a heart of gold and a soft spot for all furry creatures great and small. He’s been with Ash since the beginning as a volunteer, and was promoted to nurse by him, solely because of his experience and care he put in the job. This doesn’t sit right with Edan. He looks after the animals that stay overnight and is also part time bouncer.